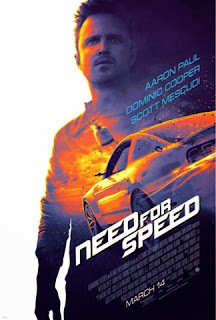 Here's a last chance to grab tickets for a free screening of Need for Speed before it opens. The screening is coming up next week on March 11th at AMC Pacific Place. Passes can be downloaded from this link. Don't forget to get there early as such screenings are typically overbooked. This movie was Great! I seen Need For Speed in 3D when it was in the theaters! This movie filled the void that The Fast & Furious movies did since Furious 7 was under production. If you are familiar with the video games, the movie is a lot like it. In particular, this movie has elements of Need For Speed The Run. Good Video Game based Movie. If you like cars you'll enjoy this! Seen this movie 6 times, still get chills, hard nips, and chubbies every time. Trailer didn't do it justice..
Great movie! Makes you care for the characters, lots of action, fast paced. I was on the edge of my seat! I am a huge Aaron Paul fan, ever since Breaking Bad, and this movie is no exception to his talent in particular. I definitely recommend this movie.